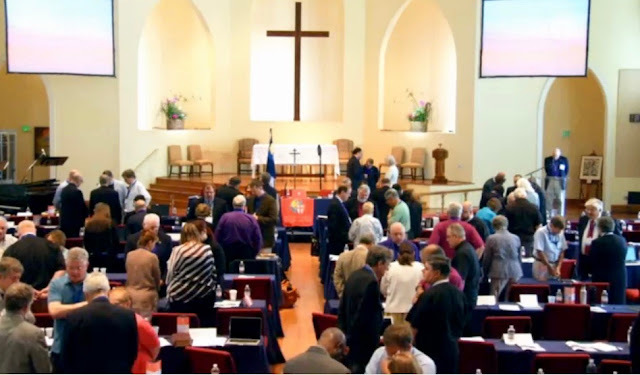 Watch and follow live as Provincial Council 2016 continues from St. Andrew’s Church in Mt. Pleasant, SC. The Holy Orders Task Force has concluded its work on Phase Three of our stated method of procedure. In this phase, we focus on the manner in which ecclesiology relates to ordination and holy order. We also have begun the last phase of our work, Phase 4, in which we are examining the arguments for and against the ordination of women. The Task Force wishes to remind the Provincial Council that our task is to the lead the College of Bishops in a discussion about this important issue in the life of the Province. To that end, we have been providing information in our reports, which we believe will aid the bishops in their discussion, and our final report will be shaped with that purpose in mind. It is not the role of the Task Force to formulate “the answer” for the Province. The examination conducted by the Task Force in the area of ecclesiology, has revealed that there are diverging perspectives within the Anglican tradition over the essential characteristics of ordained ministry, which have been acceptable positions to hold within our tradition. 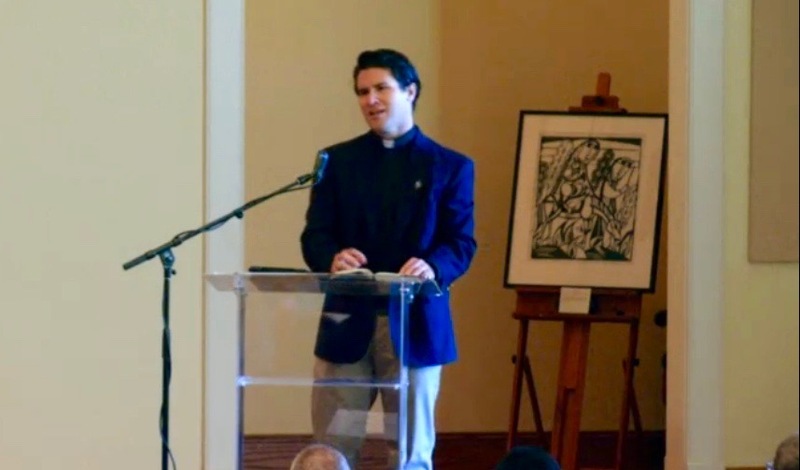 While we do not want to minimize the reality of our shared understanding and agreement on the theology of holy orders, anchored in the Ordinal and the Book of Common Prayer; yet we must recognize that the interpretation of the words of the Ordinal and the understanding of the theological context behind it are variously understood. Up until our own time, these differences have been held in tension, but they have not been the occasion for deep division. As long as someone was ordained through the proper form of the Ordinal, no one within our tradition questioned the validity of the ministry of the ordained person, even though its significance may have been differently defined. The ordination of women presents a different sort of challenge. Here the dispute is centered on the suitability of the ordinand herself. Of course, the question of suitability is rooted in the very differences mentioned above; however, the difference now is no longer in the realm of theory or opinion but in the actual application of ordination to particular persons. The issue before the Province is how we are to live with the divergent opinions over the theology of ordination, in so far as they inform the conclusions about the present issue of the ordination of women. Once again, several appendixes are attached to this report. The appendixes are supplemental to the summary, given above, and are designed to provide additional information and expansion on the matters related to the divergent understandings of ecclesiology that presently comprise the Anglican tradition. 1. Appendixes I and II have appeared in previous reports from the Task Force and concern the ecclesiological principles from our foundational documents with which we are working and the ecclesiological perspectives of the main streams or “strands” within the Anglican tradition. They are included here, once again, as this is the final report of Phase Three. 2. Appendix III presents an expanded discussion of the perspectives of the three strands, particularly as those perspectives impact the discussion of ordination. 3. Appendix IV is a chart, which surveys the stance of the various Anglican provinces, in regard to the ordination of women. We believe this is helpful in reminding us that our Province is having this discussion in the context of a global Anglican family. 4. Appendix V is a paper, prepared by Katherine Atwood, which provides an historical discussion of the admission of women to the order of deacon in the Episcopal Church. 5. Appendix VI is presented by the Task Force as an encouragement for charitable discussion within the Province, as the conclusion of the Task Force’s work is in sight. 6. Appendix VII is a timeline, which presents the major persons and events, which shaped the movements and perspectives within the Anglican tradition. As mentioned above, the Task Force is working on Phase Four, and we will spend the remainder of 2016 dealing with the arguments for and against the ordination of women. Our goal is to present our final report to the College of Bishops at their meeting in January 2017. The Rev. 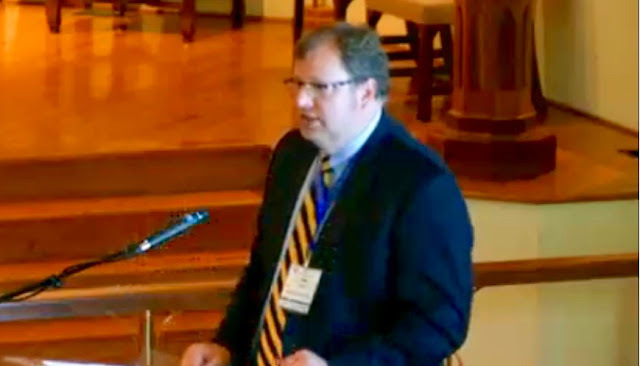 Dr. Steve Noll presents to the council the report from the Task Force on Marriage, Family and the Single Life. You may read the entire report here. 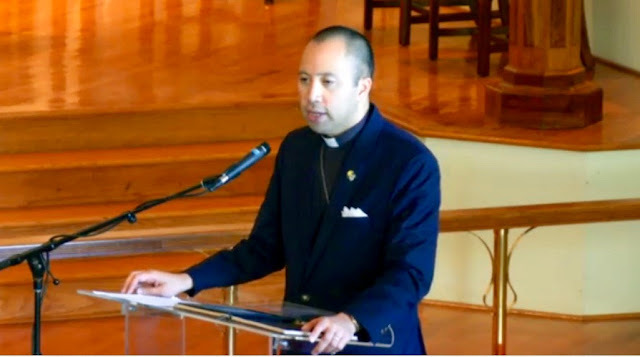 Archbishop Foley Beach invites Bishop Miguel Uchoa of Diocese of Recife in Brazil to speak to the council. Scott Ward, Chancellor of the Anglican Church in North America, speaks to the council on Religious Liberty and recent developments on religious freedom issues in the United States. Bishop Julian Dobb of CANA East speaks to council. He serves on the Task Force On Religious Freedom and Engagement With Islam. You may read their report here. Bishop Miguel Uchoa of Diocese of Recife in Brazil speaks to council followed by a time of prayer. 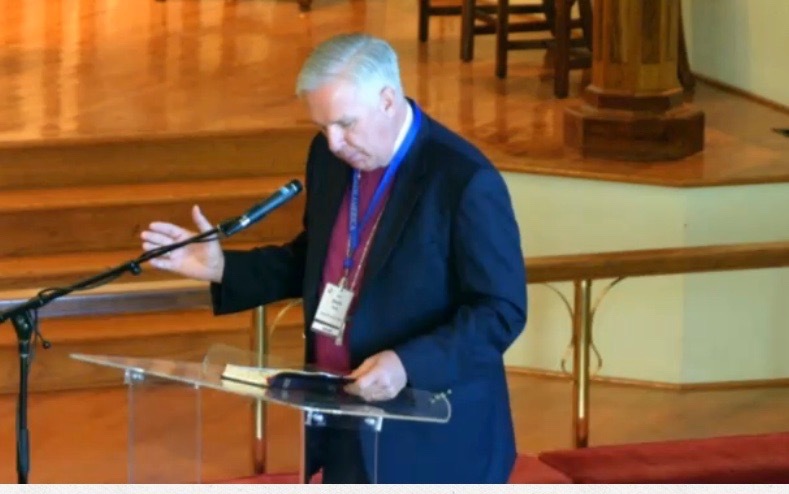 Bishop Charlie Masters of the Anglican Network in Canada led the council in a time of guided intercessory prayer. A courtesy resolution was unanimously passed giving thanks to God for the amazing life and ministry of Dr. J.I. Packer who will turn 90 next month. See photos from today’s council here. 8:30 a.m. Worship begins, again led by Dwight Huthwaite and Whitney Bradburn from St. Andrew’s (Mt. Pleasant, SC), the host of this year’s Provincial Council. They open with Matt Redman’s 10,000 Reasons. Morning Prayer is led by the Rt. Rev. Al Gadsden. The preacher will be the Rev. Todd Simonis. The council begins with Archbishop Foley Beach introducing the Bishop of South Carolina, the Rt. Rev. Mark Lawrence. 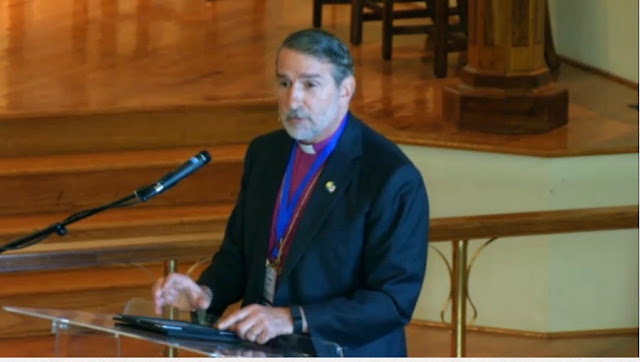 Bishop Lawrence speaks on the process the Diocese of South Carolina is engaging in as they prepare to vote to join the Anglican Church in North America. The Council paused to take time to pray for Bishop Lawrence and the people of the Diocese of South Carolina. Archbishop Foley Beach introduces the Most Rev. Dr. Daniel Deng – Primate of the Province of Sudan and South Sudan and the council rises to its feet in a standing ovation as Archbishop Daniel Deng comes to the podium to address the council. He encourages people to come and visit the South Sudan since “we are a family of faith” and encourages strengthening the links in that family to come and see what is happening in the Sudan. The council then spends some time praying for Archbishop Daniel. Voting is now underway for new members of the Executive Committee. Bishop Ray Sutton, Provincial Dean of Ecumenical Affairs gives his report from the Ecumenical Task Force. He will also be asking for council to vote on “Regularizing Relationship with Free Church of England.” You may read his report here. Bishop Bill Atwood gave his report on International Partnerships and announced that the next GAFCON will be in Jerusalem. The Rev. Dr. Joel Scandrett gave his report on the Catechesis Task Force. You may read his report here. The Council then watched a video on the ministry of SAMS. The Council then takes a break. Canon David Rosebery reports on the Matthew 25 Initiative Report. You can read the report here. This video shares Laura Manca’s ministry and outreach to youth who are living on the streets. The Rev. 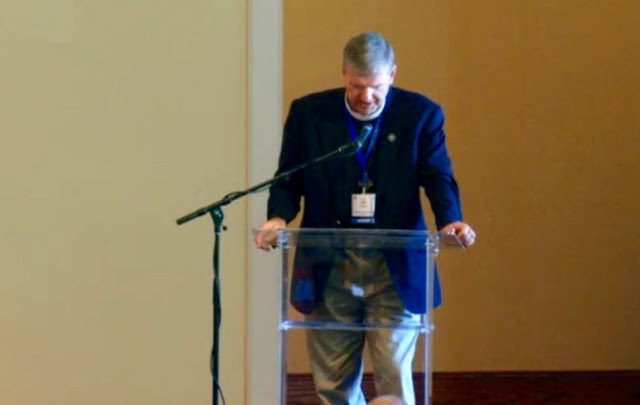 Dr. Steven Tighe reports on Anglican Global Mission Partners. You may read the report here. Archbishop Foley Beach then introduced Jenny Noyes, Director of the New Wines Conference. The next New Wineskin Conference will be September 25-29, 2019 at Ridgecrest, NC. She then introduced Canon Fred Market with International Diocese and YWAM. The council then breaks for Noon Prayer and then lunch. Provincial Council resumes at 1:00 p.m.
Worship begins led by Dwight Huthwaite and Whitney Bradburn leading worship at St. Andrew’s Church. The Rev. Rob Sturdy will preach. May I still Thy goodness prove. How I’ll sing Thy wondrous grace! The Rev. Rob Sturdy Associate Rector at St. Andrew’s Church. 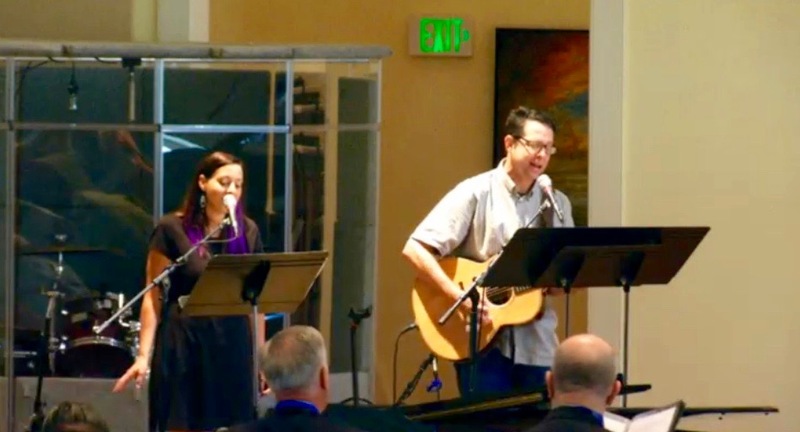 Worship is led by Dwight Huthwaite of St. Andrew’s, Mt. Pleasant. 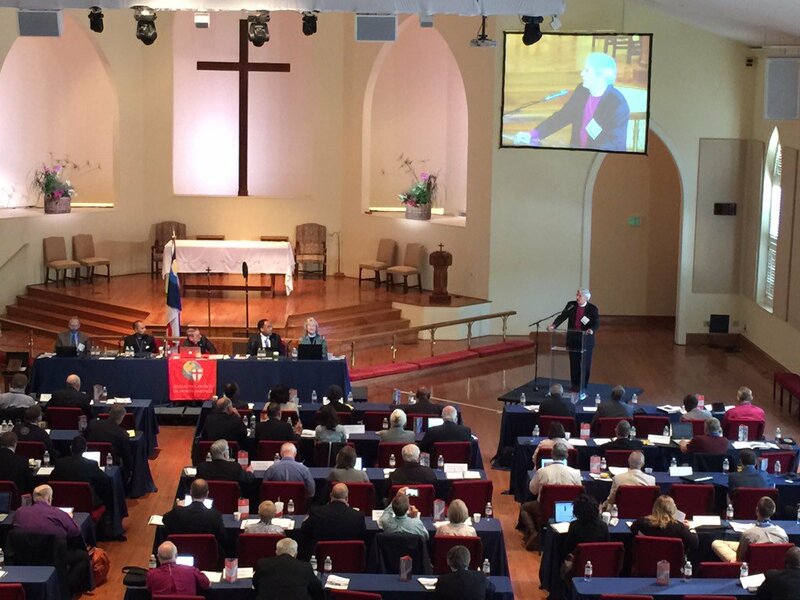 “In the Name of Jesus Christ I now call to order the 8th Provincial Council Meeting of the Anglican Church in North America on this the 21st day of June, in the Year of our Lord, 2016,” says Archbishop Foley Beach as he opens the Provincial Council 2016 and calls Bishop Charlie Masters of the Anglican Network in Canada to open with prayer. Appointment of Council Secretary – The Rev. Travis Boline from the Gulf-Atlantic Diocese as the Secretary for this Council 3-year term. Appointment of Deputy Chair – Dr. Michael Howell from the Missionary Diocese of All Saints as the Deputy Chair of the Council. Appointment of the Parliamentarian - Mr. Jeff Garrity of the International Diocese as the Parliamentarian of the Council. Bishop Mark Lawrence (Diocese of South Carolina) who will attend tomorrow. Bishop Steve Wood of the Diocese of the Carolinas welcomes everyone to the council meeting. He is followed by Bishop Alphonza Gadsden of Diocese of the Southeast REC. Archbishop Foley Beach gives his address to Provincial Council 2016. Read it all here. Bishop Neil Lebhar of the Diocese of the Gulf Atlantic leads the council in a time of intercessory prayer. The Most Rev. 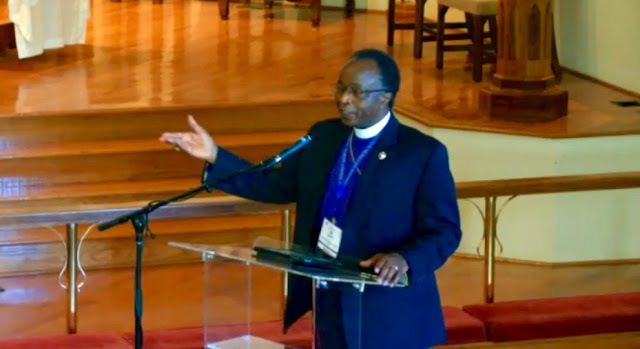 Dr. Onesphore Rwaje, Archbishop and Primate of the Province of the Anglican Church of Rwanda followed by.Bishop Steve Breedlove who speaks to the Council about the development of Rwanda Ministry Partners. Canon Jack Lumanog speaks to Council, encouraged by the financial health of the Province and giving thanks to God for His provision. His report is here. The Provincial Council then breaks for lunch. They are scheduled to reconvene at 1:00 p.m. (EDT). Archbishop Foley Beach calls the council back to order and calls forward the Rev. Bill Midget to lead the council in prayer. Immanuel Life from Simon Neill on Vimeo. Dean of Provincial Affairs, the Rt. Rev. John Guernsey, Bishop of the Diocese of the Mid-Atlantic gives his report to Provincial Council. 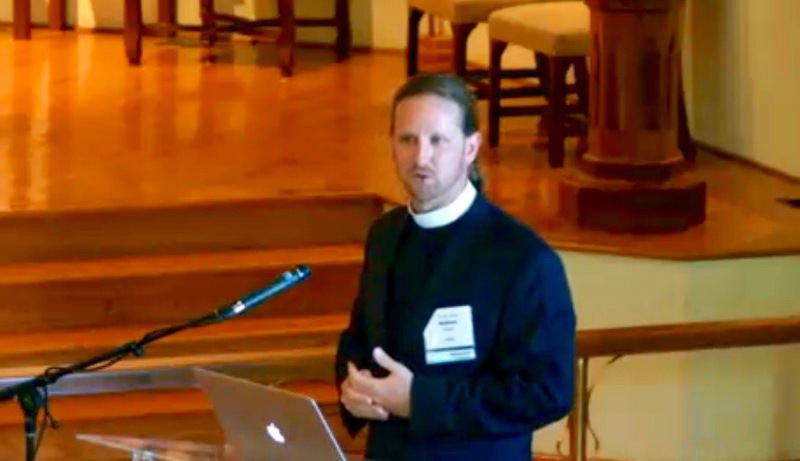 In addition he spoke about the Daily Anglican Cycle of Prayer, which you can read and download here. and the Diocese of the Rocky Mountains. The new dioceses were then placed before Provincial Council for votes to receive them as new dioceses of the Anglican Church in North America. The council voted unanimously to receive them followed by a standing ovation. The Rev. Filmore Strunk presents a Courtesy Resolution regarding Bishop David Bryan and giving thanks to God for his example in working for unity in the church. Canon Andrew Gross presents good news with the Congregational Reports. You may read his report here. Following Canon Gross, the Council heard the Report of the Nominating Committee for Executive Committee & Introductions of Nominees. Voting will be tomorrow, Wednesday, June 22, 2016. Archbishop Foley Beach calls on Canon Alan Hawkins to present the Development Report, followed by Treasurer Brad Root. You can read report here and the budget memo here. 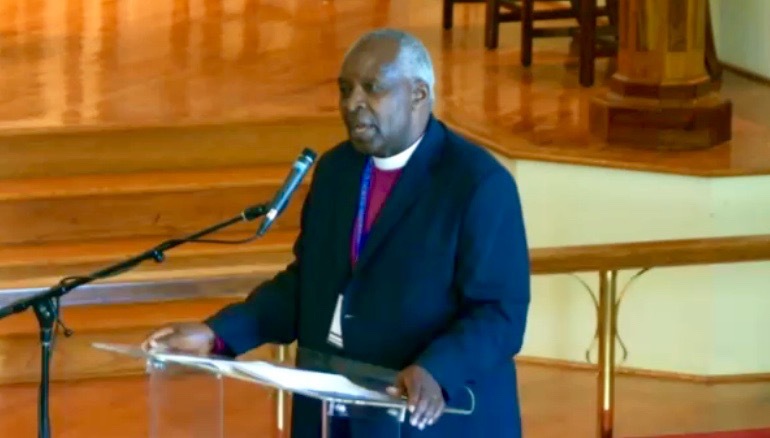 The budget is voted on and passed by Provincial Council 2016 followed by a thanksgiving prayer by Bishop Julian Dobb of the Convocation of Anglicans in America (CANA) East. The council has a break and will return at 2:10 p.m.
Cham's Story - The Anglican Relief and Development Fund from ARDF on Vimeo. The Rev. William Beasley reported to the council on Cominemos Juntos ministry. Appointment of Anglican Immigrant Task Force - you may read the report here. In this video, J. I. Packer provides a definition of the church and her responsibilities.